We are a leading Manufacturer of multicolor t light votive, metal hanging t lights votives, metal eye votives, aluminium candle votives, glass and jute candle votives and metal candle votive from Moradabad, India. 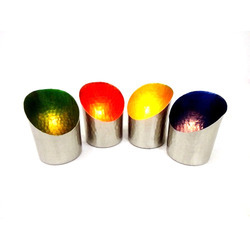 Our organization specializes in offering superior quality Multicolor T Light Votive to our reputed customers. Designed as per the industry set standards, the offered products are widely appreciated for their attractive design and eye catching appearance. 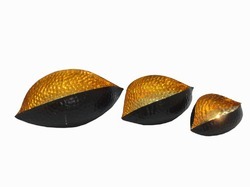 Manufactured using advanced tools and equipment, these light votives are widely used for decorating interiors. 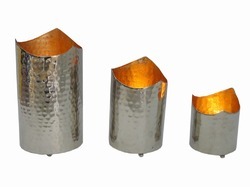 Metal Hanging T Lights Votives is manufactured from finest quality aluminum, which is obtained from well known vendor. The offered holder can be used in home, office, or religious places for the purpose of holding candle. Moreover, the offered holder is commonly used for various decorating purposes by our customers. Our organization is engaged in offering superior quality Metal Eye Votives to our prestigious customers. This holder is manufactured from finest quality aluminum, which is obtained from well known vendor. Our organization is engaged in offering superior quality Aluminium Candle Votives to our prestigious customers. This holder is manufactured from finest quality aluminum, which is obtained from well known vendor. 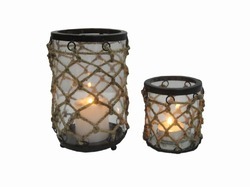 Glass and Jute Candle Votives can be used in home, office, or religious places for the purpose of holding a candle. Moreover, the offered holder is commonly used for various decorating purposes by our customers. 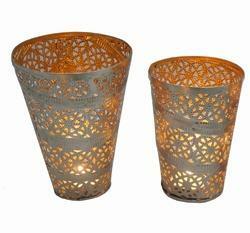 Owing to the vast experience of this domain, we have been able to offer Metal Candle Votive to the customers. 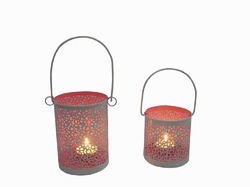 The offered votive is precisely designed from finest quality metal that is sourced from trusted vendors. 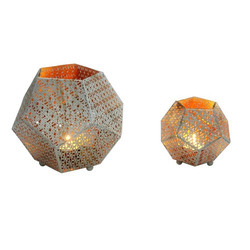 This candle votive is widely used in decorating interior of house and restaurants. To ensure delivery of flawless votives, the offered products are rigorously tested by quality controllers. 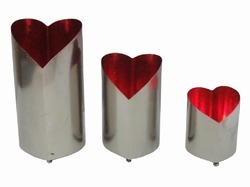 We are engaged in offering a wide variety of excellent quality Aluminium Heart Votives to our valuable customers. The offered products are widely used for decorating interior of various restaurants and hotels. Available with standardized packaging, these products are known for their attractive designs and elegant look. The products, offered by us are available in various sizes and shape that suit the requirements of our customers. We are among the leading manufacturers and exporters of a wide assortment of high quality Metal Embossed Votives. The offered votives are designed and developed from finest quality metal available in its grade. Made as per quality standards, these votives are widely used for decorating interior and performing religious rituals. Furthermore, the offered product is available at cost effective market prices.